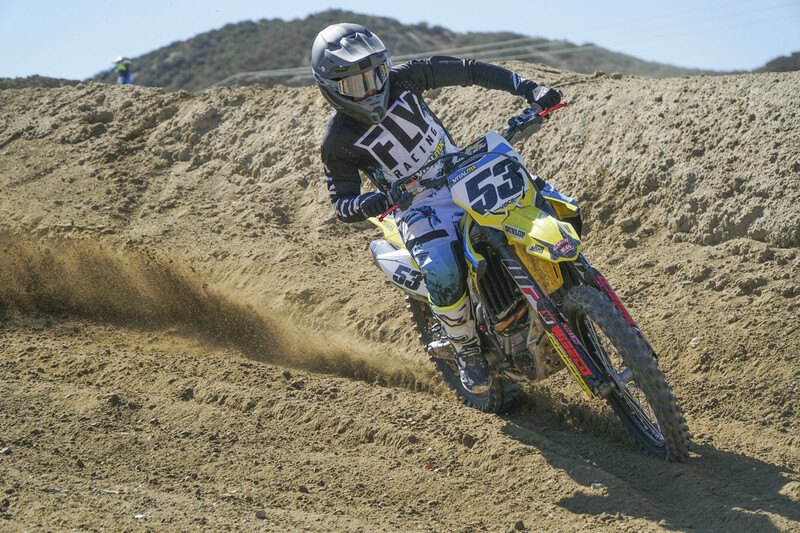 Recently, Vital MX set out to improve the 2019 RM-Z450 enough to run with the top 450 shootout bikes. 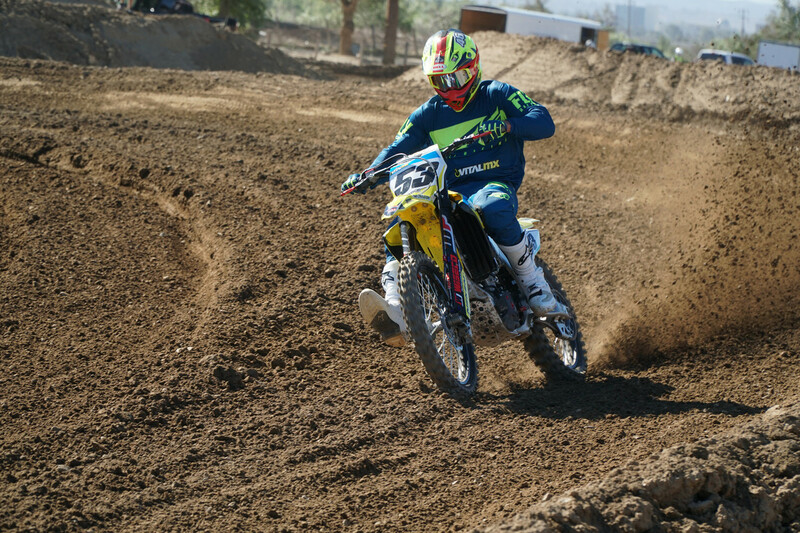 Check out all the mods and equipment this Suzuki received, and what the riders thought afterward. Original write-up from Vital MX. Click here to check out their page. 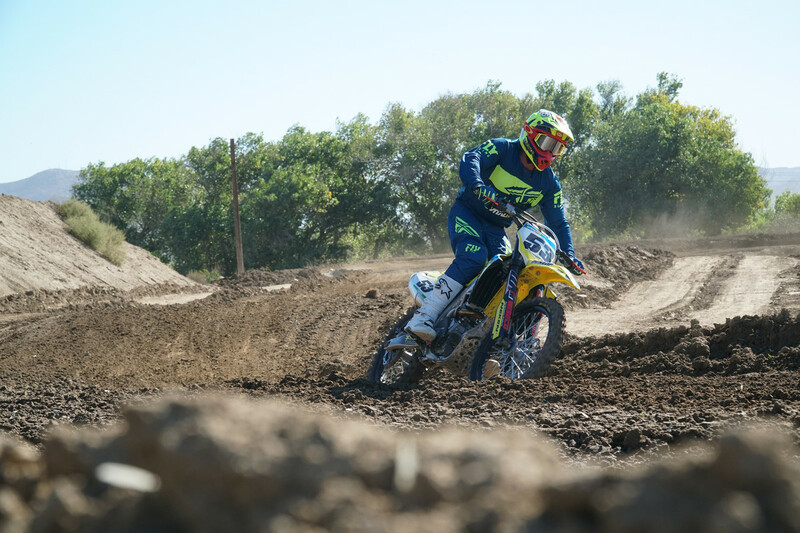 Test riders did not feel the RM-Z450 was bad, it just had some characteristics that didn't shine above the others or made it a little more work to ride. Read on to see what they did to address the critiques. One of the first issues we wanted to address was the harsh chassis feeling, yet as we all know, there aren’t that many options to change the ride characteristic of a frame. But we did reach out to FCP Racing (Factory Chassis Parts) to get some new engine mounts they developed with the goal of giving the chassis a more compliant feeling. 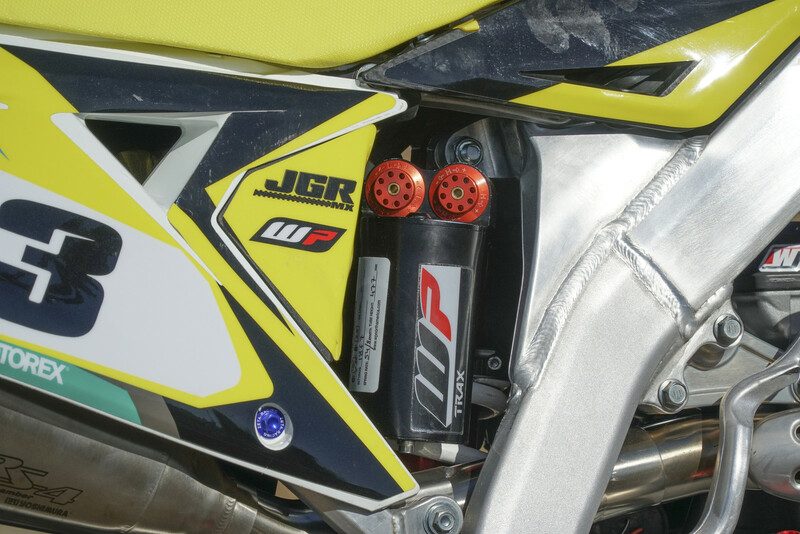 In the same category, we wanted to see how WP suspension would feel on a Suzuki, just because we haven’t seen to many yellow bikes with Austrian A-kit forks and shocks. 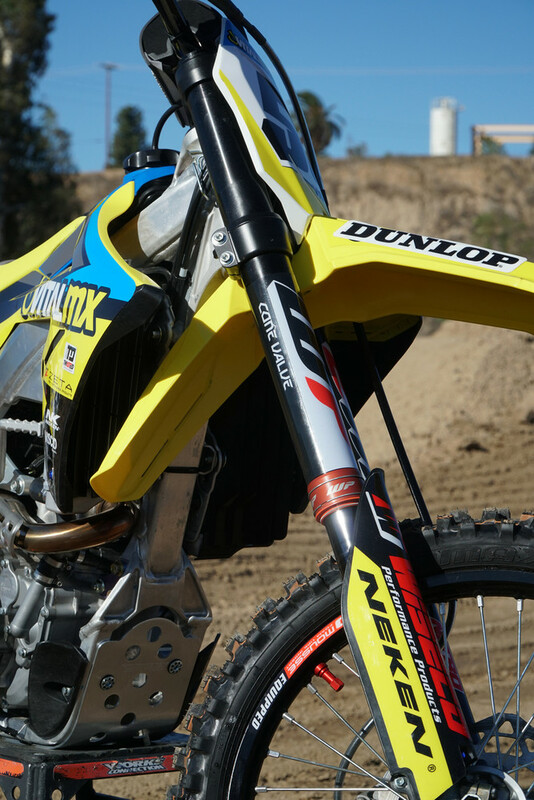 We got our hands on the WP Cone Valve Fork and Trax Shock for the RM-Z. Why A-kit? Well, WP wanted to send their best stuff to test so we let them. 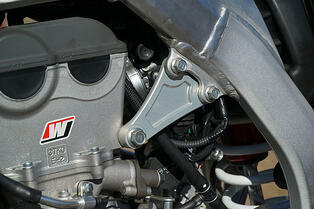 In the power department, we wanted to get more excitement from the slow revving, slightly retro feeling stock motor. We put in a Wiseco Racer Elite 14.0:1 piston to get a bigger bang from each compression stroke. 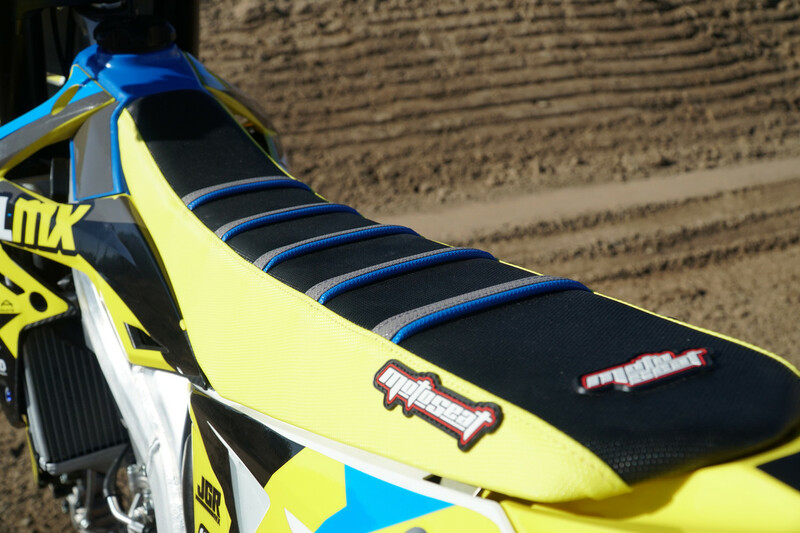 To help it breathe more freely we also put on a Yoshimura RS-4 full exhaust system. And to get every last ounce of power to the rear wheel, we installed a Rekluse CoreManual TorqDrive clutch which has a higher torque capacity than stock clutches because it has more plates in the same amount of space. 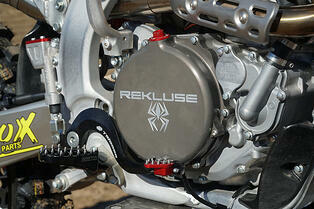 Finally we sent the bike over to Twisted Development to install and map a Vortex ECU for the RM-Z. Some ECUs can be left stock and engine tuners can work with special programs to change mapping but with the Suzuki, the more efficient way to go was to use a Vortex. The Vital crew addressed the stiff chassis feeling with FCP Racing engine mounts, WP Cone Valve forks, and a WP Trax shock. The engine received a Wiseco Racer Elite piston, Yoshimura full exhaust, a Rekluse CoreManual TorqDrive clutch, and a Vortex ECU mapped by Twisted Development. For the final drive, the RM-Z450 was fitted with a set of ProX sprockets and a standard, 520MX ProX gold chain. To track maintenance after the engine build, the bike also received a ProX hour meter. 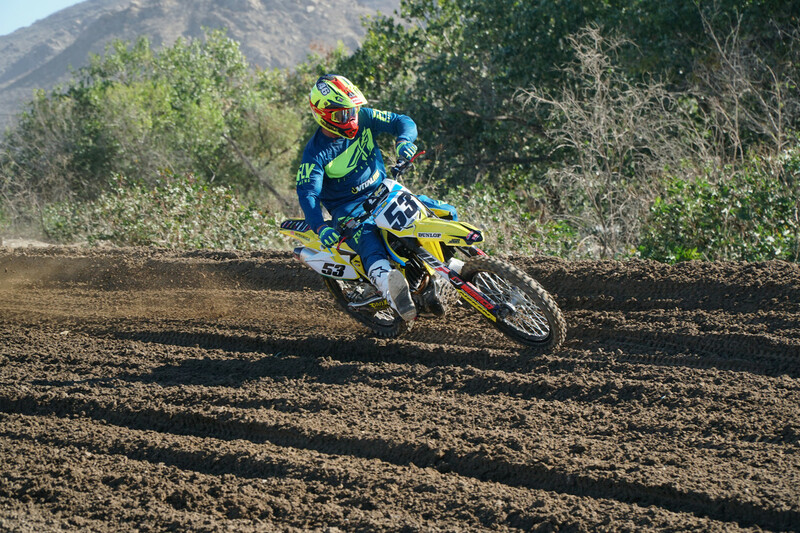 The RMZ features ProX sprockets (aluminum rear), a ProX standard gold 520MX chain, and a ProX hour meter. 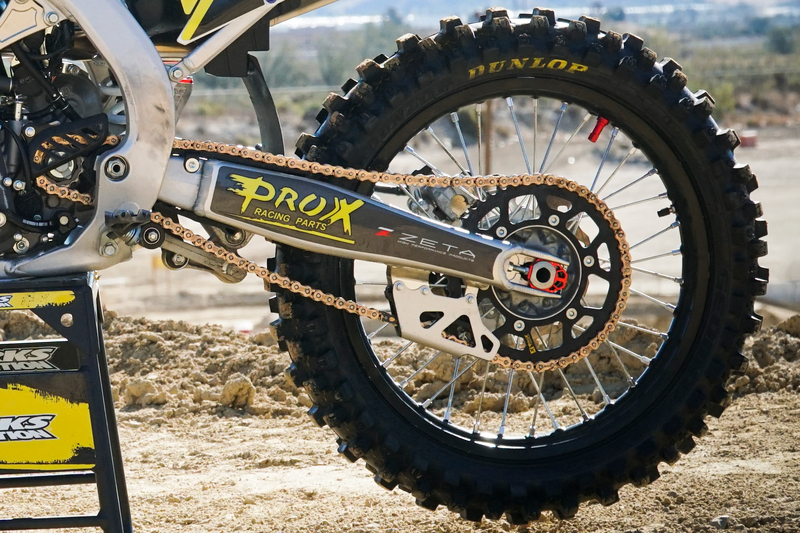 Check out more on ProX chains and sprockets here. WP's Cone Valve forks utilize a unique mid-speed valve design that allows for a highly-tunable setup. 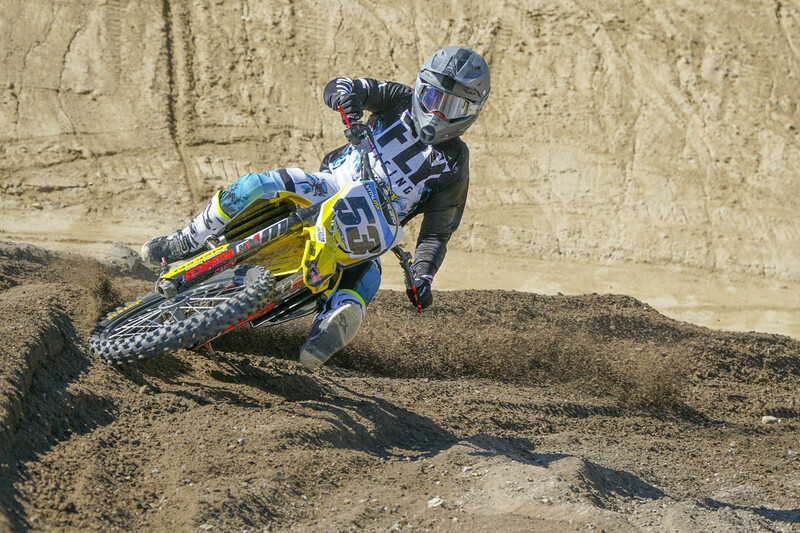 "After putting on the WP fork and shock, it was like night and day. It’s hard to tell engine mounts from suspension since they were changed at the same time, but for sure, the WP kit fork and shock made me actually enjoy riding the bike. 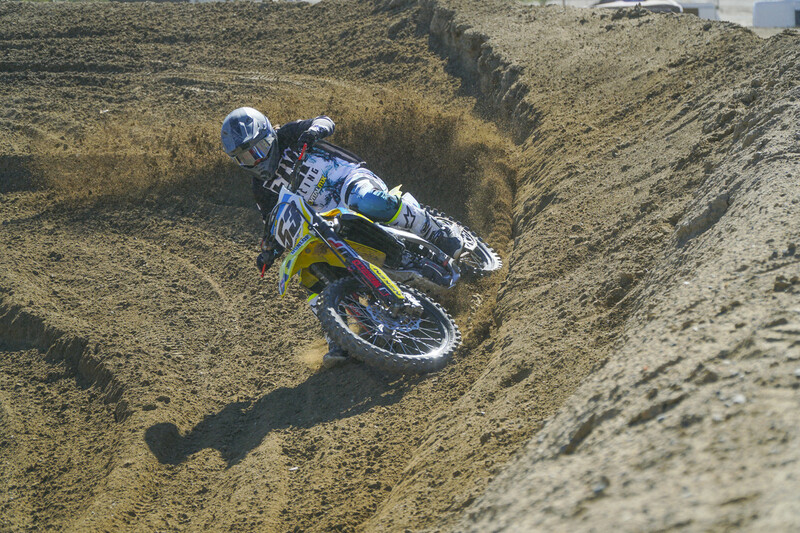 I was jumping stuff first lap just because I had that much more confidence in the way the bike would react. 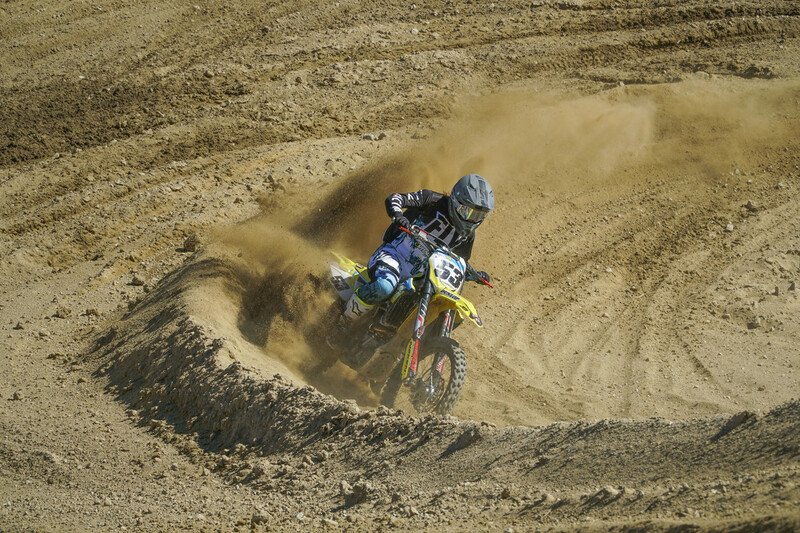 The bottoming resistance is unreal, and and there is more control through the stroke, on both the fork and shock. This setup just settled the bike down for me. The fork felt like it was very plush initially, taking away most of the harsh feeling that the stock bike had, while increasing control and predictability. I did soften up the compression on the fork because I’m not a fast guy and was too high in the stroke. That being said the harder I pushed the better the bike felt. I did go like six clicks softer to see what that would feel like, but that was too much and I was deeper in the stroke where I was losing the comfort and control that I liked." The WP Trax shock has a unique rebound circuit that helps keep the rear wheel on the ground. However, it gives the rear shock a very active feeling, which some riders don't like. The RM-Z doesn't absolutely need these mods to work well, but the WP suspension and the engine mounts noticeably toned down the harsh feeling. 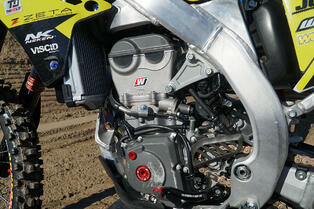 All modern 450’s make a ton of power, enough to satisfy any riders demands. But how that power is made is a different story. Some of it comes down to rider preference - revvers versus luggers, for example. 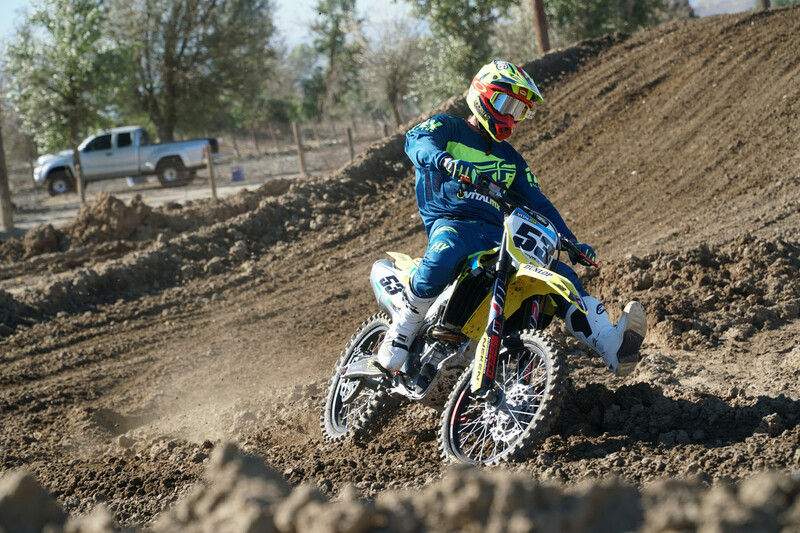 But in the RM-Z450's case, most of our testers said that while the bike has linear, strong power, it is just sort of lacking in excitement and snap. 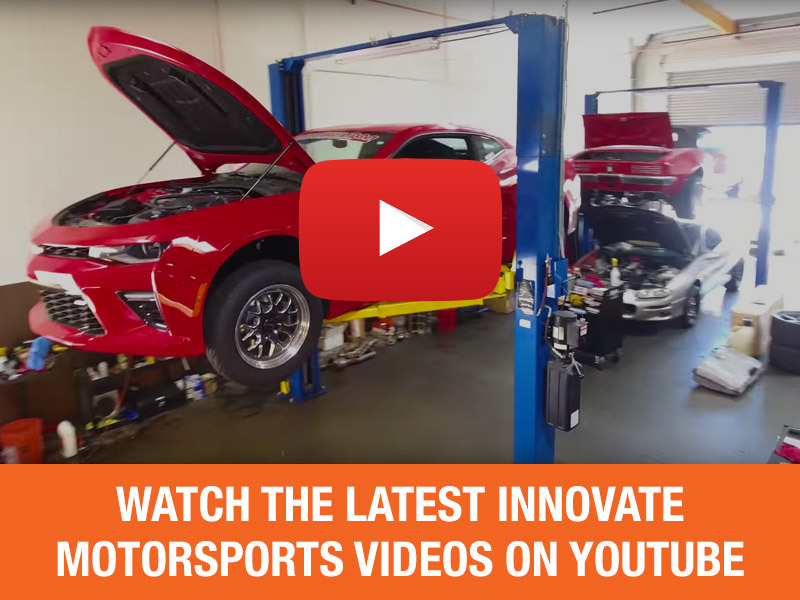 For some, it wouldn’t get to the rpm they wanted fast enough, so we wanted to liven it up. 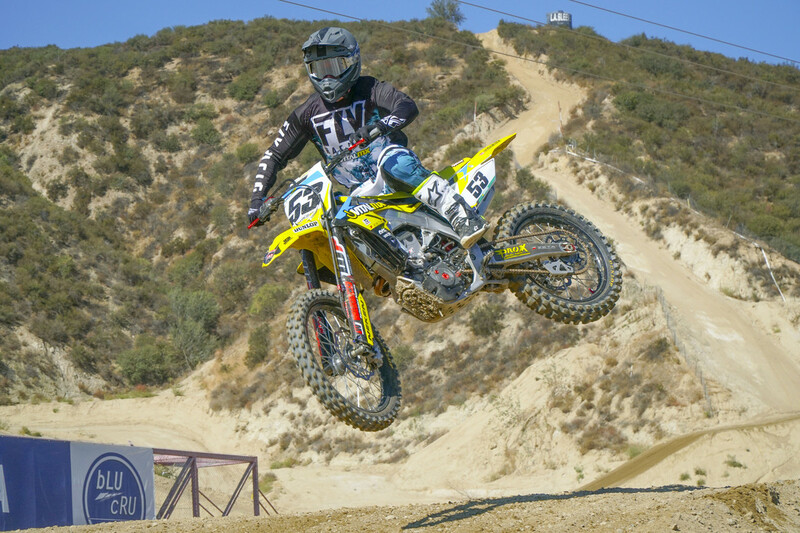 “For me, the stock RM-Z450’s engine was a little confusing. It sounded and felt (through the bars and pegs) strong, but it didn’t respond to throttle input like I wanted, or at least have grown to expect by riding the other 450s with a way more lively feel. Since we put all the pieces together at once, we can’t dissect what the pipe, piston, and mapping are doing separately but as a package, it is like a whole different bike. Throttle response is super crispy and the motor revs freely and wicks up much more quickly through the rpm." Throttle response felt improved, the motor revved faster, and it accelerated out of corners quicker with the motor combination of the Wiseco piston, Vertex ECU, and Rekluse clutch. 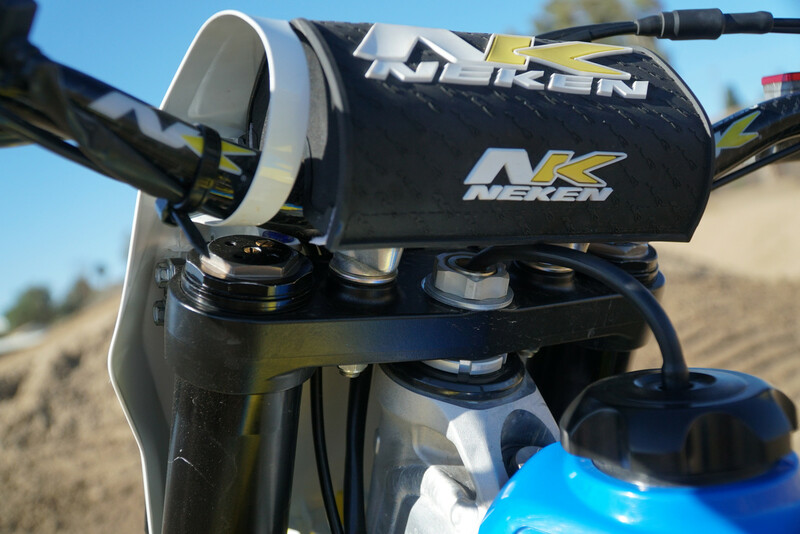 A few of the other mods that added some performance to the build included the Neken SFH Handlebar/Grip system. The cliff note version is that where the grips slide on to the handlebar, it is a smaller diameter, allowing the grips to be twice as thick as normal grips without being larger in outer diameter. Guys that like soft grips really liked them, but other riders that preferred a more direct feeling with the bars felt they had a vagueness that wasn’t great. 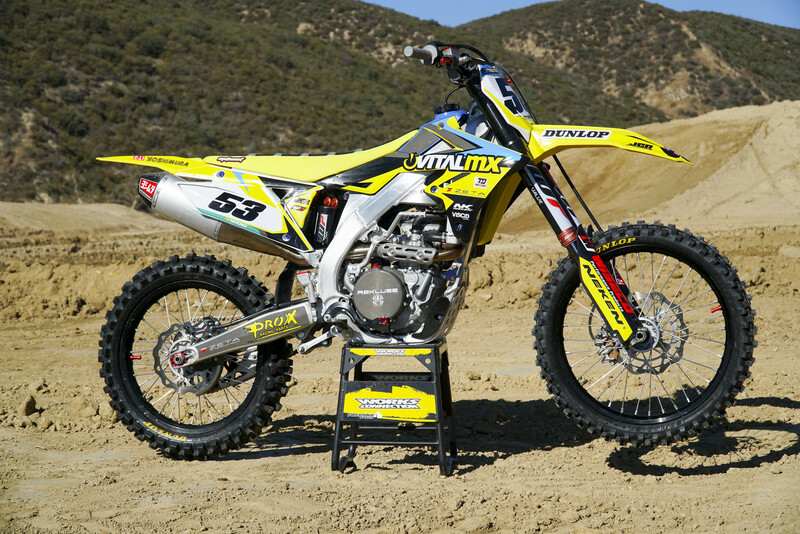 As a total package, the modified RM-Z450 turned into a bike either test rider would be happy race all season long. 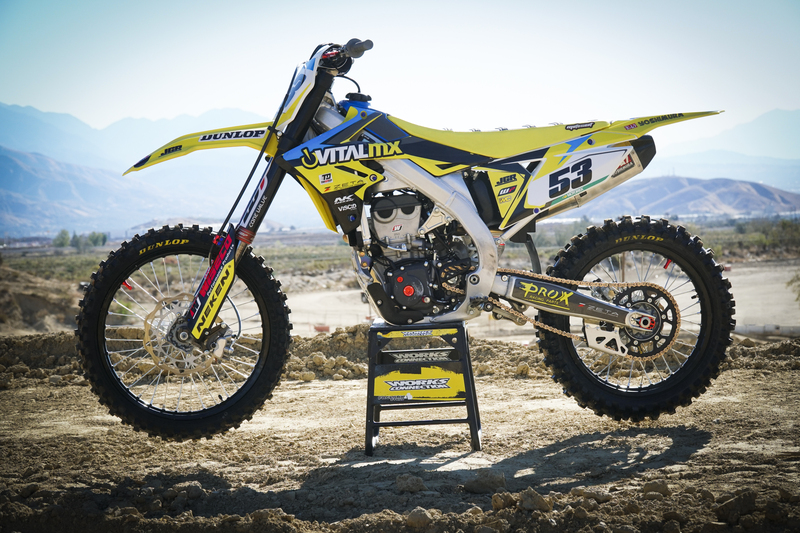 Head to Vital MX's original post here to see the complete list of parts, their prices, and where to find them.